Every day I encounter authors who are struggling to find sites that will help promote their books. They’re trying to find places like BookBub, E-reader News Today, and several others. They’re trying to find bloggers to help promote their books. Etc. Let us help you out. It’s free. I first published in 2008. From 2008 thru 2012, I observed that my sales dropped from Thanksgiving thru Cyber Monday, yet my sales always peaked in December. Why wasn’t I benefiting from the Black Friday and Cyber Monday traffic? Because those shoppers are looking for (A) great deals and (B) electronics, clothing, and other gifts. So in 2013, I proposed a new shopping holiday called Read Tuesday. It’s 2014 and we’re having the second annual Read Tuesday. This year it falls on December 9, 2014. Read Tuesday is a Black Friday type of event just for book lovers. Readers and gift-givers get great deals on books. Authors get free marketing. It’s a win-win situation. Of course, I can’t guarantee results. I can help you get more exposure, and some books will benefit from this, but not all. At Amazon or Smashwords, for example, your book is one tiny fish in a huge ocean of millions of books. If you participate in Read Tuesday, you can be a big fish in a small pond. The odds are in your favor. Your chances of exposure are much better. Now of course some books attract buyers better than others, so I can’t guarantee that every book will take advantage of the improved odds. Read Tuesday shoppers will see your book in the catalog, which gives you valuable exposure. If you sell some books, good; if you sell many, great; if you don’t sell much, at least you gained exposure. The more marketable your book, the better your chances. And if you market your book in addition to just submitting your book, that can help, too. In fact, Read Tuesday gives you an opportunity promote your book while promoting the event. Instead of screaming, “Check out my book,” you can scream, “Check out Read Tuesday,” and get your book discovered in the process. Some authors take better advantage of such opportunities than others, but the potential is there. I’m working to promote the event and several authors are helping. You can help, too. For example, we’re launching a ThunderClap promotion that will go live on Read Tuesday. We currently have a social reach of nearly 400,000 with a week to improve this (see below for how you can help). You can still sign up, but time is running out. You can still sign up (this post was written on November 30), but time is running out. In case anyone has missed this, posting it again; readers, find new friends! Authors, find new readers! Fun for everyone, practically guaranteed. I’ve signed up, have you? Three of my titles – P.A.W.S., Sins of the Past, and Fauxpocalypse will discounted to 99 cents for Read Tuesday. Sharing with my Twitter followers! Wish I could participate but my book doesn’t come out until January! Authors and book fans everywhere – mark your calendars! READ TUESDAY, December 9th! When are we going to get a list of all the authors who are taking part in this? I want to prepare a blog post to go live on Tuesday to advertise our book promotions. The Meet-the-Authors page shows some of the authors, but only those who submitted their author info through the author form. The Read Tuesday catalog is up now (though I will update it one last time sometime Sunday). There are five catalogs (one for Kindle, Smashwords, CreateSpace, MatchBook, and free print books). Every participating book and author appears in these catalogs (except for those who have submitted their info in the last couple of days; they will be in the catalogs tomorrow). 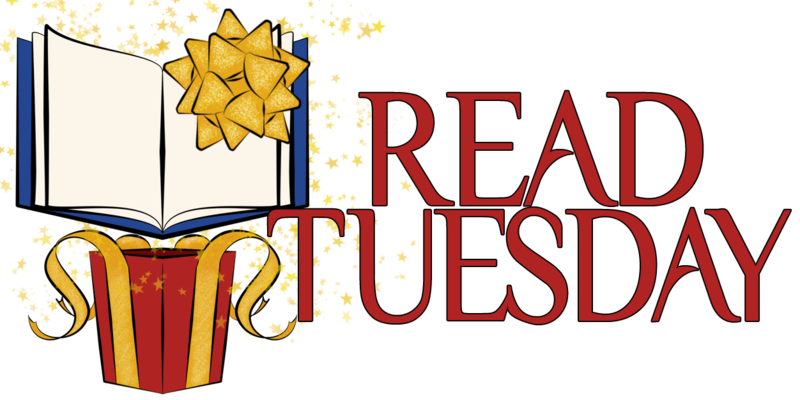 Where is The Read Tuesday catalog, so I can copy and paste it into my blog?